However, additional permitting and review of tailings dam engineering is required for a complete process. The Corps’ 404 permit is one of dozens of federal, state and local permits necessary for the project. Developers anticipate it will take up to 2.5 years to acquire these other permits once the process has begun. These would include a State of Alaska Dam Safety Certification for the tailings dam, which requires a detailed engineering review of the dam’s design and operation above and beyond what is required during federal 404 permitting. For years developers asked the public and agencies to wait for a mine plan before making a determination on the project. The mine plan was made public in November 2017. The public input period that is currently ongoing (from March 1 to May 30, 2019), is the first occasion for any analysis or comment on the specific project proposal submitted for development. There is no official debate of the project as submitted, as that is not a part of the permitting process. 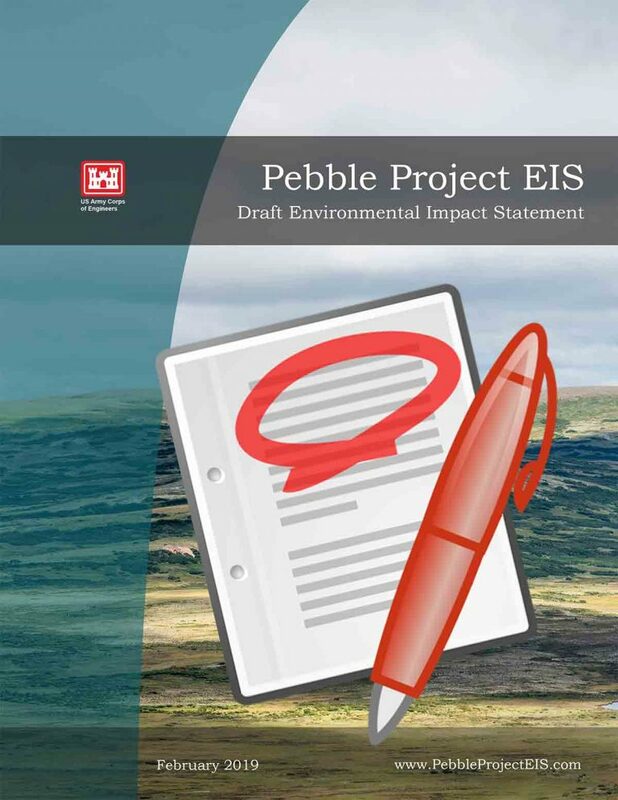 Aside from the Keystone Independent Science Panels held in 2012, the only analysis of the Environmental Baseline Document that underpins the DEIS occurred as part of the Corps’ own development of the DEIS. That is what stakeholders are currently reviewing, and is one reason many Bristol Bay entities have argued for more than a 90-day comment period. Read the Senate Majority’s full letter to the Corps of Engineers. The Senate Majority recently conducted a poll of Alaskans that included this question on Pebble: “If all environmental safeguards are met, do you support or oppose development of Pebble mine?” Of 7,461 responses, 26% strongly support, 13% somewhat support, 11% somewhat oppose, and 50% strongly oppose.